This faceted flame award is the perfect marriage of a black crystal base and a beautiful light catching flame shaped top. Our Black Base Clear Crystal Flame Trophy comes in two hefty sizes and arrives for your awards ceremony expertly engraved and in a velvet lined presentation box. 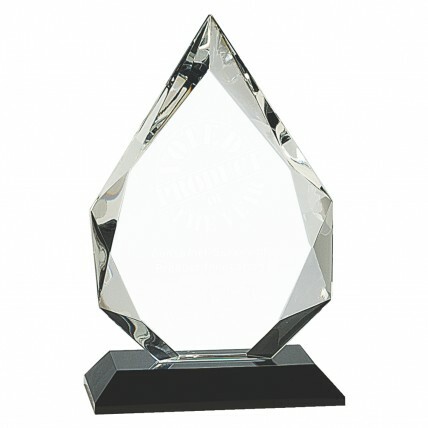 Give this ideal all-around great award at your next corporate event and a great shape for your top of the line employees.